Hello, fabulouses, and welcome back to VIP Home! So…what is “Curtain Fest” exactly? 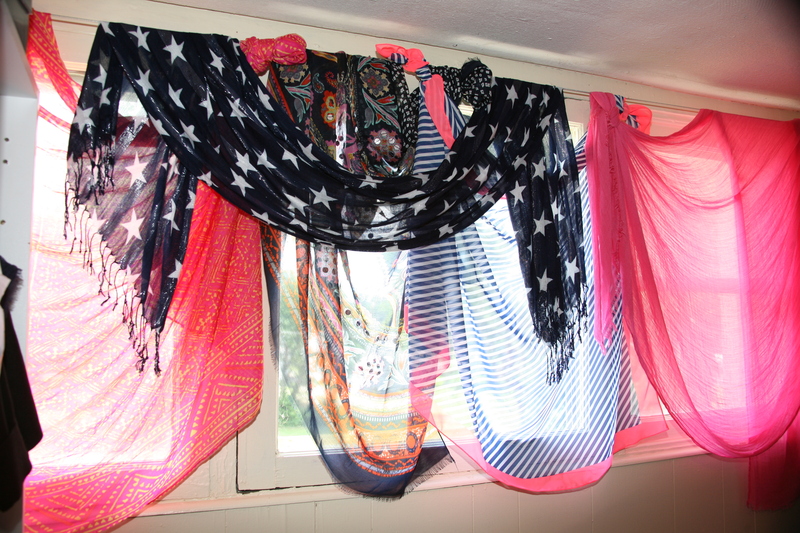 Well, every Monday in June on VIP Home, I am going to show off the different curtains in my apartment–some I DIYed, and some I bought because they were too fabulous to pass up *wink* Now–let’s take a look at the video to find out how the VIP DIYed her closet curtains. 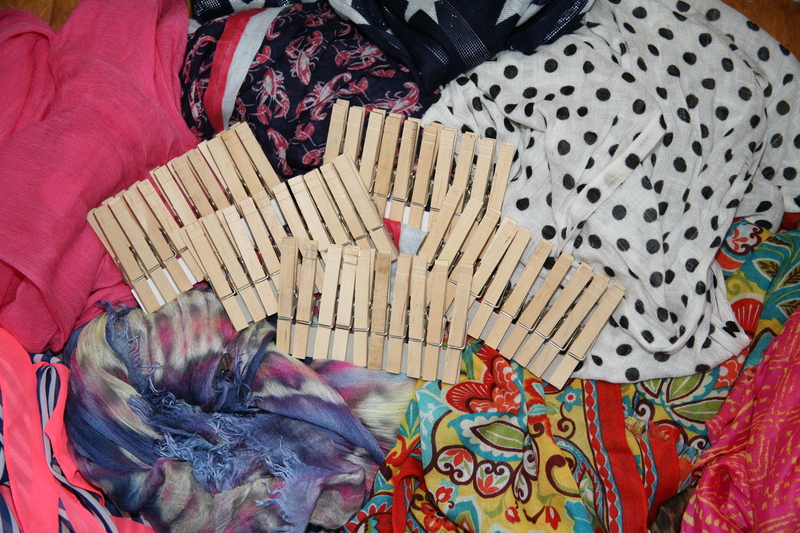 Example 3: For this look, I did NOT use any clothespins. 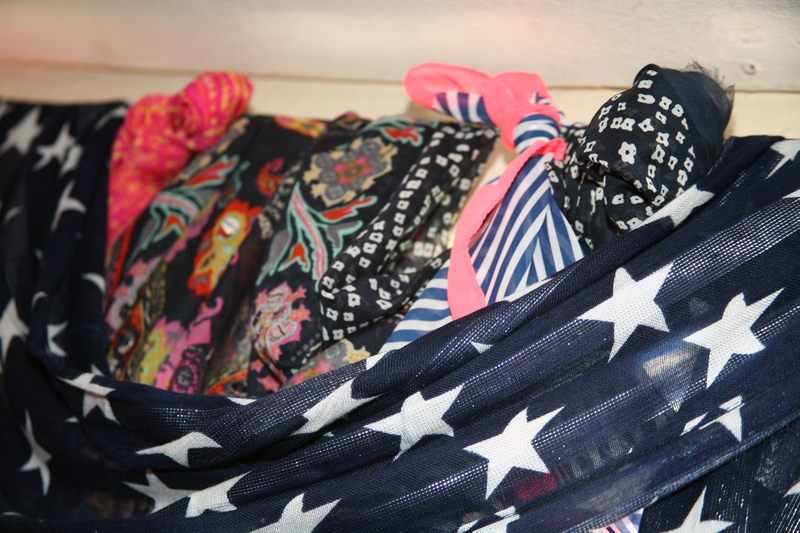 I knotted each scarf and overlapped each one to create a more whimsical and effortless look. When it comes to tackling a project like this, remember that styling a room is no different than styling an outfit! To read more about how styling interiors and a wardrobe are one in the same, check out my article in The Trussville Tribune here.